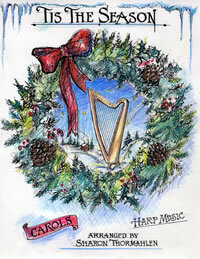 This is a book of traditional Christmas Carols that Sharon arranged for the harp. These easy arrangements are suitable for beginners and intermediate players, although interesting and fun for any level player. You could learn all of these tunes in one season. 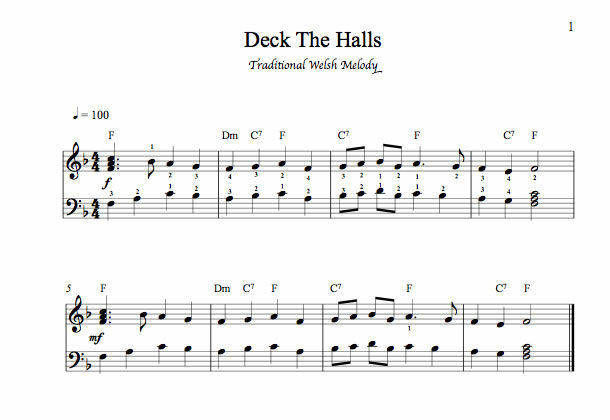 Songs include: O' Little Town of Bethlehem, Deck the Halls, Silent Night, Celtic Carol, It Came Upon a Midnight Clear, The Holy and the Ivy, What Child is This?, Away in a Manger, God Rest Ye Merry Gentlemen, O Come All Ye Faithful, and The First Noel. 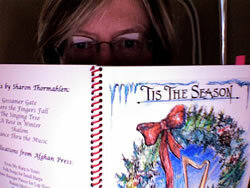 Tunes are in F, C, Am, G, Em and D.